This entry was posted in Status Update and tagged silver award by Jennifer. Peak is the proud winner of a Silver award in the Website Design Under $25,000 category from the BMA Gold Key awards gala event! Our skills so finely showcased on The Posner Center’s recent website design + build project have garnished a prize. 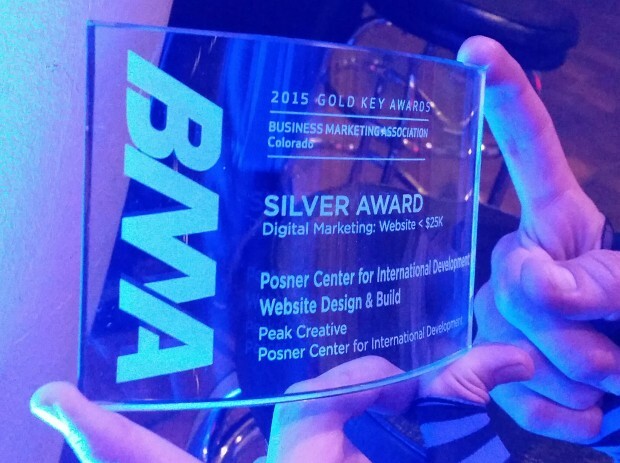 Thanks to the Peak team of creatives and our terrific clients at The Posner Center.